In America we usually save this behavior for the parents. 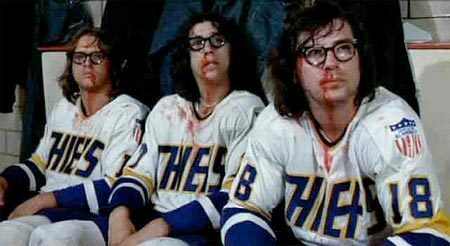 Fighting has always been a fundamental part of hockey. It's an agressive sport and bloodlust has always been ingrained in its culture. Even to a comical degree. And not a lot of fighting. And took it upon themselves to return the sport to its bare knuckle roots. Watch the right of the frame as some kid flies out of nowhere to aid his teammate. Where were their parents, you ask? Well, filming all the action, of course!